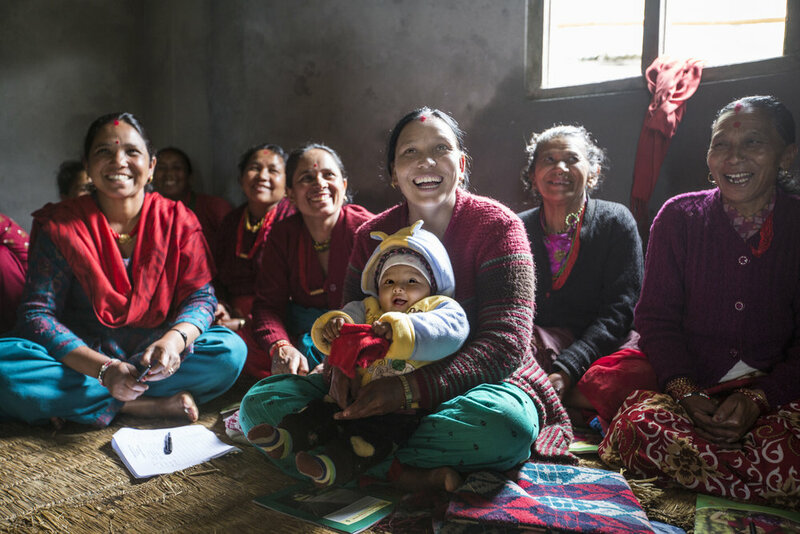 After the 2015 Nepal earthquakes, Pact focused efforts to five hard-hit districts and began working with communities to select small infrastructure projects — up to $10,000 — that would aid in their recovery. Rather than hiring contractors to carry them out, the communities implement and oversee the projects themselves. In addition to drinking water systems and other critical infrastructure, they are gaining skills, confidence and resiliency, and learning how to do transparent, inclusive development. Villagers in the Dolakha district at a gathering to decide who will serve on a drinking water project they are about to begin building. Members of a community that recently completed a drinking water project. Community members in Lapilang gather for training at the start of a project. Children enjoy fresh water from the tap after the community completed a water infrastructure project. A woman in the Dolakha district in Nepal. Families often traverse extreme terrain that can take a day to gather water after the earthquake shifted traditional water sources. A woman and child in the Dolakha district in Nepal. Community leaders in the Dolakha district in Nepal. Children in the village of Kalinchowk in Nepal.